Kajol has always made it clear that her family will remain her priority over work. The actress kept her word and was away from films to look after her children. Now that her children are grown up, Kajol has got back to work and is doing what she does the best. The Dilwale actress was snapped with daughter Nysa at the Mumbai airport on August 10, 2018. 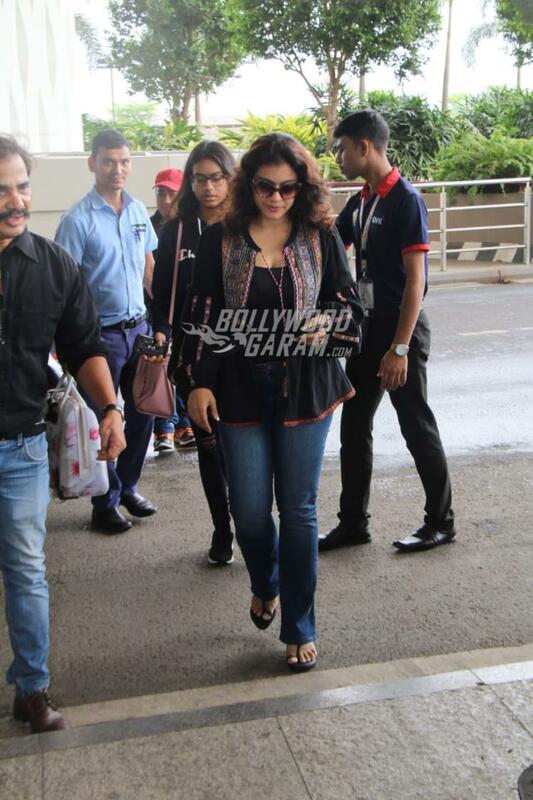 Kajol looked trendy in a black top, a pair of denims and a black jacket while daughter Nysa was seen in a blue pullover and a pair of rugged denims with black sneakers. Nysa was seen busy on her phone as the mother and daughter made their way at the airport. Kajol is a doting mother to daughter Nysa and son Yug and is often seen spending time with her children at the restaurant, holidays and movies. The actress is also known for sharing a great relationship with her children. Kajol is currently busy promoting her upcoming film Helicopter Eela.